MANA is a voluntary neighborhood association made up homes in the Medlock Park neighborhood in DeKalb County, GA. MANA has not been established as a “rules and regulations” homeowner’s association, but rather as a neighborhood group focused primarily on improving the overall quality of life for our residents. MANA’s mission is to represent the Medlock Area to all applicable government agencies in the DeKalb County, be a catalyst for the discussion and resolution of neighborhood issues including: planning, public safety, environmental, public works, parks & recreation and education, and serve as an instrument for communicating issues to the neighborhood residents and business establishments. We will also work to foster, promote and protect the civic and community interests of the residents of the Association. MANA was formally incorporated in January 2004. 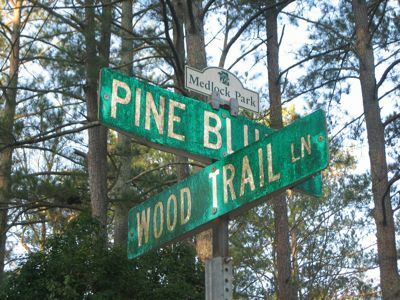 The association has evolved from community participation and interest in such activities such as petitions for traffic calming measures, signage ordinances for nearby businesses, and neighborhood involvement at Medlock Elementary. MANA is officially a 501c (4) tax exempt business (dues are not tax deductible). in place. Click to enlarge. As seen on the map to the left, MANA is roughly bound by North Decatur Road and Scott Blvd. to the north, Willivee Drive to the west and North Druid Hills Road to the north. As seen on our street sign toppers, MANA members voted to refer to the MANA area as "Medlock Park" even though many homes are designated under additional subdivisions such as University Heights, Emory Heights, Norwood Heights, Carymont Manor, etc. in county documents. MANA boundaries partially overlap with those of the Clairmont Heights Civic Association (CHCA). Recent boundary expansion requests have put the potential membership of approximately 1300 homes but membership is open to all residents and business owners in the surrounding area. We also work in close collaboration with other community not-for-profits and associations such as The Clyde Shepherd Nature Preserve and Clairmont Heights Civic Association (CHCA) as well as many other local groups. The content of medlockpark.org (and manainfo.blogspot.com, used to maintain these pages) is for general information purposes only. It is maintained by neighborhood volunteers and in no way represents all of the various opinions of our neighbors. Medlockpark.org tries to provide content that is true and accurate as of the date of writing; however, we give no assurance or warranty regarding the accuracy, timeliness, or applicability of any of the contents. medlockpark.org is not involved with the management of Medlock Park, the DeKalb County park in our neighborhood. All content and information at medlockpark.org might be changed or updated without notice. medlockpark.org might also make changes or improvements at any time without notice. The Board determines whether articles and announcements are disseminated, and decides which articles appear on any given newsletter issue, with deference to time-sensitive or seasonal topics. link(s) to additional information if available. Business interest can be publicized via the MANA newsletter as paid advertisements; these ads will be mirrored in our website until the next newsletter is issued. See the Business Links page for rates and how newsletter ads appear on the website (text/links only). The Board has total discretion on whether an announcement will be published. The Board welcomes short, informative pieces (~400 words) that are likely to interest our community. We are unable to pay for articles but of course will list the author's name; the author retains all rights to the article. Any images included in the article should be original by the author. Examples of unacceptable articles: (1) “infomercials” or opinion pieces that, although providing some general information, identify a particular product/service (whether or not sold by the author) as superior to others; (2) opinion pieces that are inimical to MANA’s mission.